Come home where the Piedmont looks to the Blue Ridge. Start your day with a morning visit to local markets, bringing fresh foods and hand-crafted treasures back to an on-trend kitchen. Make the most of nearby cultural attractions, then spend evenings at the outdoor fireside lounge. Sophisticated, small-town life at its easy best. Historic Easley, in a beautiful corner of upstate South Carolina, is a place of lakes, rivers, waterfalls, mountain views and charming shops and galleries. This is home to Ridge at Perry Bend, a community of modern apartment homes for those who enjoy life to the fullest. 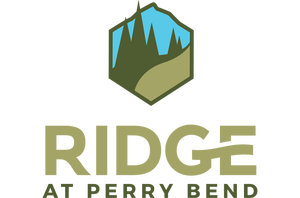 Ridge at Perry Bend infuses outdoor-inspired living with an artisanal spirit to create a home close to the arts, nature and employment centers. It’s a friendly community where convenience and comfort reign. Kick back and embrace the ease and comfort of our “Yes I Can” service, the pledge of every staff member. Everything is great! The front office staff are great people and very easy to work with. The community has tons of amenities and is very clean. My apartment is lovely! Ridge at Perry Bend has a great staff and great maintenance team! I absolutely love my brand new apartment. The location is very convenient to stores and restaurants. I absolutely love it! The amenities are great, grounds are always kept and maintenance will be there in a heartbeat. The staff was wonderful to work with during the moving process and is still a big help if I have any questions. My wife and I are so glad we chose to live here. The staff is great, the apartment is exactly what we wanted and love the modern style kitchen.